(GREEK NEWS AGENDA) The 57th conference of the Bilderberg Club is t aking place in Athens (May 14-16). Heads of State, top level politicians, military officers, as well as businessmen from all over the world come together to discuss politics and economy. The same meeting was held again in Athens in 1993. The guest list comprises more than one hundred members with influence in key sectors. The history of the which has been dubbed “the shadow world government” traces back to 1954. It was set up as a loose, informal, invitation-only conference promoting cooperation between Europe and the United States. The Club was named after the hotel, where the first meeting took place. (GREEK NEWS AGENDA) Marketing professor at Athens University of Economics and Business, Giorgos Avlonitis was elected president of the European Academy of Marketing for the biennium 2008-2010. The European Academy of Marketing is considered a prestigious academic network for marketing research and teaching. The institute counts more than 1,000 members and is highly active in the United States, Japan, China, Hong Kong, Oceania, and Israel. 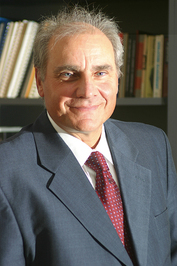 George Avlonitis is Professor of Marketing at the Department of Marketing and Communication, and past president of the Greek Marketing Academy.